Firstly let me say that between Past President Greg and Sergeant Graeme and the great job they did no one noticed the absence of our President. 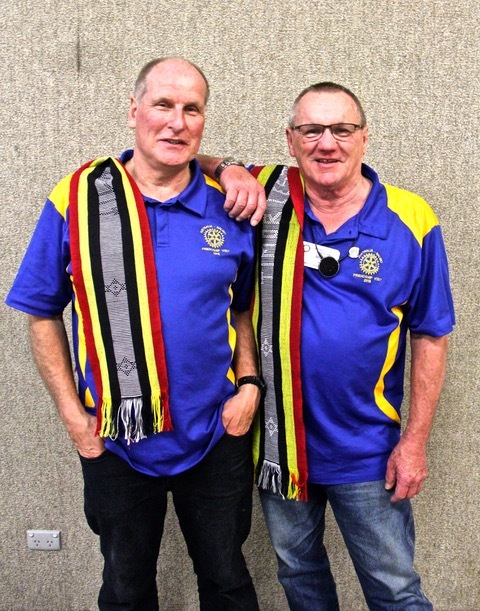 OK, so last week we had the pleasure of Greg Peck and Roger Thornton giving us a very interesting talk on their recent trip to Balibo. It was very informative and gave us all a true look into what it is like in Balibo not just for the children but for everyone. It was good to see a number of partners and guests attend our meeting and I am sure we all walked away with a much better understanding about life in Balibo. There was no Jokers Wild this week and I guess it will start again in the next few weeks and lets hope no wins anything before I get back and that the pot builds. Oh and by the way from now until January our Past President Greg will be filling in for me whilst I take a break to South America. So from me and my wife have a great Christmas and a Happy New Year. Your Scribe Editor and Secretary.